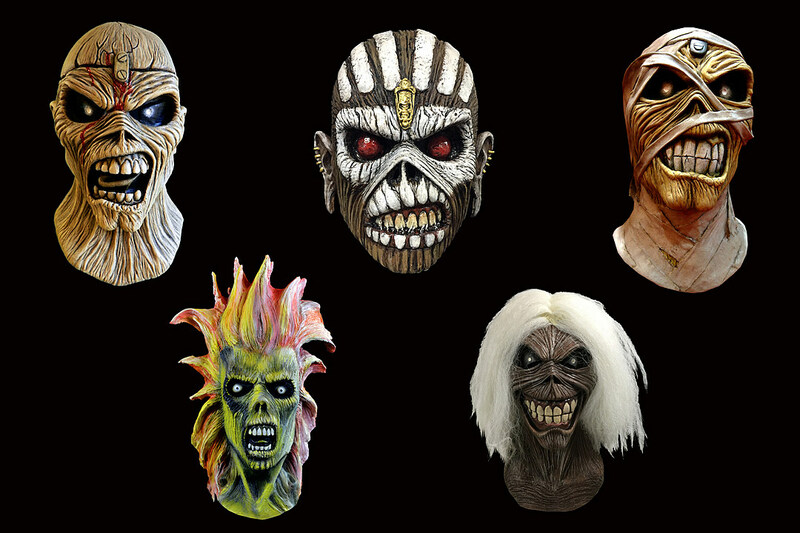 De headliners van deze 23ste editie zijn Guns N’ Roses, Iron Maiden, Volbeat en Ozzy Osbourne. Laatstgenoemde was in 2016 ook al op GRASPOP METAL MEETING te zien, toen nog als frontman van het legendarische Black Sabbath. Ditmaal neemt The Prince Of Darkness pianist Adam Wakeman (zoon van ex-Yes toetsenman Rick Wakeman), drummer Tommy Clufetos, bassist Blasko en gitarist Zakk Wylde mee naar Dessel. Black Stone Cherry, Bury Tomorrow, Cancer Bats, Doro Pesch, Fleddy Melculy, Follow The Cipher, Ghost, Guns N’ Roses, Heilung, Iced Earth, Jonathan Davis, Kataklysm, Madball, Moments, Signs Of Algorithm, The Pink Slips en Toxic Shock. Akercocke, Anti-Flag, Arkona, Avatar, Avenged Sevenfold, Ayreon, Carach Angren, Culture Abuse, Diablo Blvd, Dool, Galactic Empire, Hollywood Undead, In This Moment, Iron Maiden, Killswitch Engage, L7, Less Than Jake, Neurosis, Parkway Drive, Pist*On, Powerwolf, Savage Messiah, Septicflesh, Shinedown, Silverstein, Stick To Your Guns, The Darkness, Tremonti, Tyler Bryant & The Shakedown, Vader, Watain, Wolves In The Throne Room en Zeal & Ardor. Accept, Amaranthe, Arch Enemy, Asking Alexandria, Asphyx, At The Gates, Backyard Babies, Baroness, Batushka, Bloodbath, Bölzer, Boston Manor, Crossfaith, Exodus, Kadavar, Kreator, Marduk, Marilyn Manson, Megadeth, Miss May I, P.O.D., Planet Of Zeus, Rise Against, Seether, Skillet, Sons Of Apollo, Stone Broken, Stray From The Path, The Vintage Caravan, Thundermother, Underoath, Vixen en Volbeat. A Perfect Cirle, Billy Talent, Blessthefall, Body Count Feat. Ice-T, Bullet For My Valentine, Carnivore A.D., Corrosion Of Conformity, Dead Cross, Ego Kill Talent, Eisbrecher, Emmure, Employed To Serve, Eskimo Callboy, Hollywood Vampires, Judas Priest, Knocked Loose, Lacuna Coil, Limp Bizkit, Mantar, Meshuggah, Modern Life Is War, Ozzy Osbourne, Perturbator, Powerflo, Pro-Pain, Shining, Tesseract, The Bloody Beetroots Live, The Contortionist, Thy Art Is Murder, Tyr en Vandenberg’s Moonkings.